Amanda Byram is on a personal and professional high these days, but the path to true contentment didn't always run smoothly. The TV presenter has admitted that cancelling her 2011 wedding to former rugby player Craig McMullen was the most difficult moment of her life. "I hurt him and let people down," she said this week to Independent.ie. "I was 38 at that point, I didn't have children, I had never married and I had all these emotions whishing through my head." After McMullen popped the question, Byram began working straight away on what she described as a "picture perfect" wedding in the South of France, but she couldn't get rid of a nagging feeling in her gut that he maybe he wasn't The One. "I got so caught up in the flowers and dress, the wedding was in the South of France and people were flying in from America, Australia, I had friends from LA coming over. It was going to be a four-day affair - the most beautiful day, picture perfect event with 45 people," she describes. "Something struck me a month-and-a-half before the wedding and it's very hard to put into words. I just thought I wasn't sure." Eventually, and after seeking advice from her parents, Byram found the courage to cancel the wedding a month before she was due to walk down the aisle. "(My parents) said, 'You don't have to do anything, it's only money. If anyone complains then they're not your friends'," recalls Amanda. Eventually, she met TV producer Julian Okines in 2014, and admits it was love at first sight. The two wed in London last year. For anyone staring down the prospect of calling off a wedding, several factors weigh heavily on the mind. Like Byram, the ignominy of cancelling a bash with family and friends is rarely far from mind. And after months of euphoric planning and visualising a whole melee of emotions are suddenly thrown into the mix: anger, confusion, embarrassment, rejection and shame. And those in the industry agree largely on one thing: the person who called it off should be the one to do much of the spadework around cancelling vendors and suppliers. While most people in the industry will recall the 'sheer devastation' that brides feel when they've called off their fairytale wedding, Seamus Fahy, founder of Voltaire Diamonds often sees things from both the male and female perspective over the diamond counter. "A cancellation rarely happens, but usually, the client is philosophical about the whole thing, saying that it just didn't work out," he says. "Generally we give a full refund if the wedding is cancelled," he adds. "If a guy buys a ring to propose with and she says no, we give a full refund. Many other jewellers will give a credit note after 30 days, but we don't go down that road. "Here's the funny thing, a few of the people who have split up end up coming back into us for a ring again." 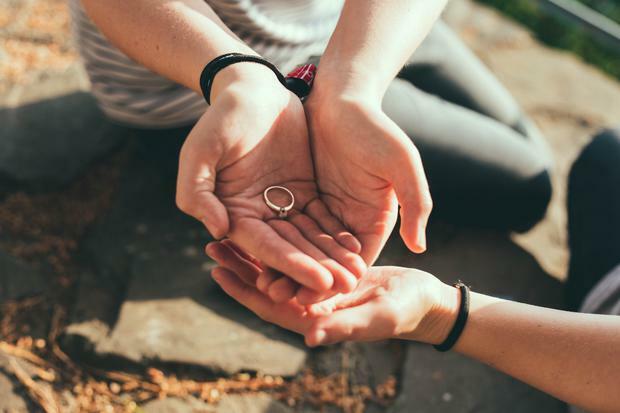 As to the etiquette around returning a ring after a broken engagement, Fahy adds: 'It's not just etiquette, but the law states that if the engagement breaks, the recipient has to give the ring back. It's his property until you sign on the (wedding) day." The good news is that a number of other suppliers and vendors are flexible when it comes to cancelling their services. Says Fiona Gielty of popular Clare venue Dromoland Castle: "We're not a big hotel chain, so we can judge a cancellation on a case-by-case basis. We have a deposit procedure, where couples pay the deposit (around €5,000) and that is non-refundable. After that, if someone has cancelled their wedding due to extenuating circumstances, we speak with them on an individual basis. A lot of our cancellations often happen right before the deposit is paid but if someone had paid a deposit for a date that's in two or three years' time and we can resell that wedding date, a refund is given." Owing to the nature of their service, some suppliers have little choice but to be less flexible. The owner of a designer bridal boutique, who did not wish to be named, notes: "Once a bride has ordered the dress, they're committed to paying for it, mainly because we are committed to the designer. Not everything we do is bespoke, but the girls will be doing minor changes for each bride. It happens very infrequently, but our clients sign a contract, so they will have been made aware that they will have to buy the dress." However, the owner adds that it's possible to sell a dress via specialist outlets: "There are plenty of forums that brides sell their dresses on, from One Fab Day to WeddingsOnline." Kathy Sherry of vintage wedding stylists/boutique Dirty Fabulous, adds: "It's a difficult situation that luckily hasn't happened to many of our brides. Our policy would be to offer a credit note or exchange if the wedding dress is on deposit and still in our shop. The credit note can be used for our vintage occasionwear range or accessories. We are open to reviewing each situation as it arises and may offer a partial refund of the deposit only, depending on the length of time the dress has been on deposit. If the wedding dress has been paid in full and taken home by the bride then unfortunately we can't accept a return." Andrew Rudd, owner of Dublin City Centre venue Medley, advises potential wedding clients not to book until they have 'City Hall or the church' locked in. "We have a strict policy laid out in the terms and conditions and whether it's a wedding or corporate party, we wouldn't be able to return a deposit," he says. "Within six weeks of the event, 75pc of the cost will be due, and I would often charge 25pc deposit on booking, and the remaining balance is payable around a week before the event." Joe Duffy, florist at Irish Wedding Packages, also notes that the timing of a wedding cancellation is key: "We're happy to refund a deposit, usually of around €100, within good time, once it's not too close to the wedding." Duffy observes that while cancellations are few and far between, it's not a change of heart that prompts couples to cancel: "Most of the time the cancellations have happened because of bereavement or family illness. It's not very often they come back and say anything about cold feet." 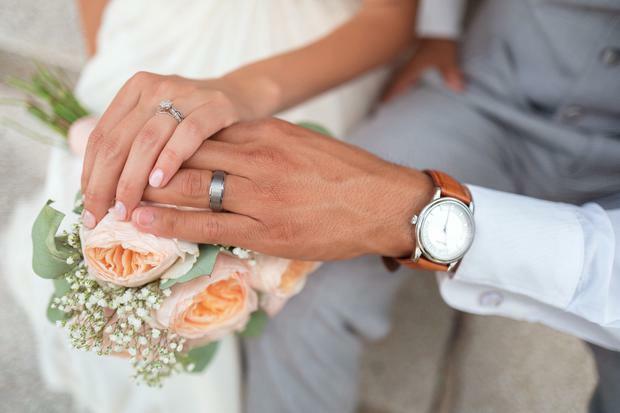 Destination wedding specialist Rosie Meleady often advises that recently engaged couples buy wedding insurance (which can be around €30) so as to insure them from financial challenges. Blue Insurance has a wedding insurance arm. "If you do have to cancel for whatever reason, you're covered for certain eventualities," she explains. "If you're planning a destination wedding, travel insurance can cover things like flights and accommodation." In her 16 years as a planner, Meleady admits that a couple calling off a wedding has only happened a couple of times. The blip is more often than not a temporary one: "I often say to a couple, 'Let me look after things for a while', and I give them a week or two, and then I check back in with the chief bridesmaid," she says. "Once they had a week to get over their issues, they went ahead with the wedding. Usually, it's getting a bit too much for them, but if they leave things with me and take a backseat for a week or two, they usually come bouncing back."